Besides sharing this look with you girls, my favorite Shopbop is having an extra 30% off on almost all sale items. It is perfect sale for you to get holiday gifts and your wish list items on sale. Stock is already running low on popular items. Extra 30% off on almost all sale items. I went through all the sale items, I highly recommend to get some dress for holiday parties, xmas and New Year's Eve party. Self-portrait, Keepsake all have some pretty dresses. Also sweaters, coats and a lot of items you can wear them during the holidays. Grab them before they run out of stock. BTW, you girls can get my stripe coat on sale too! 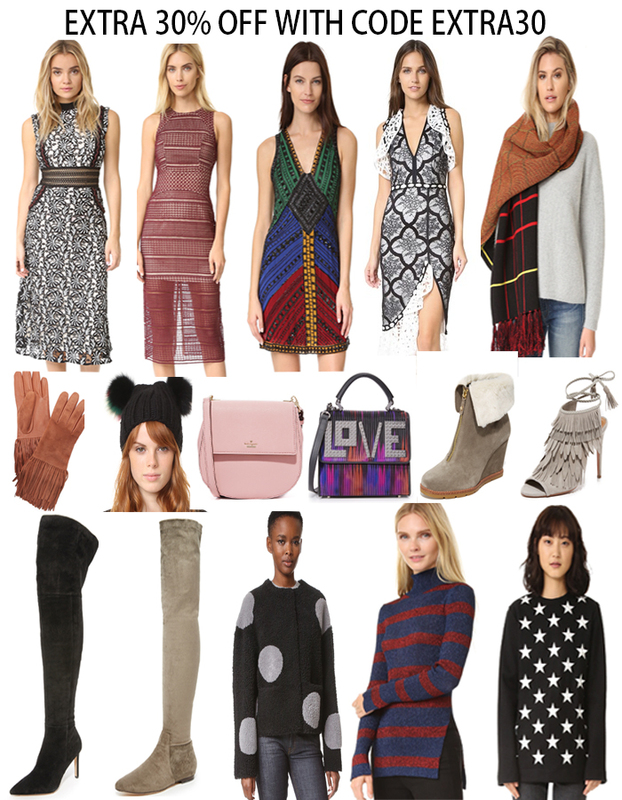 Here are some of my favorite items and you girls can check more sale picks below.